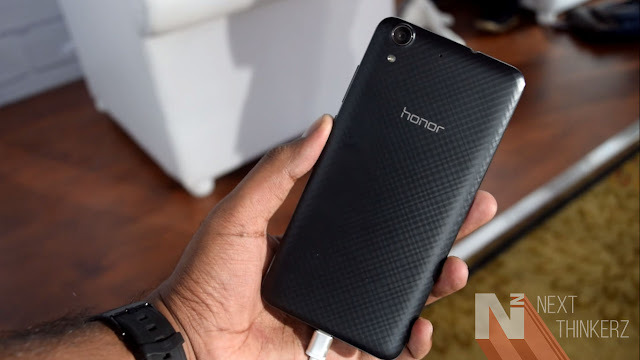 Honor Holly 3 Launched: Specs, Price and Availability In India. This week, we were at the Honor's launch event to witness the official unveiling of the Honor 8 in all its glory. Apart from the Honor 8, Leaks suggested that Honor 5A would get launched along with their newest member(Honor 8) which few bloggers got a sneak peek during their journey to Goa. Technically two more devices were introduced alongside the Honor 8. Honor Holly 3 and the Honor 8 Smart, For now, let's just focus on the launch part consisting Honor Holly 3. According to the budget oriented section, it pretty much settles among the fierce competitors currently ruling this space. So is the newly launched Honor Holly 3 better than the Coolpad Note 5 or the Redmi 3S/3S Prime? Let's find out. Also just for kicks, Honor Holly 3 is company's first "Made In India" smartphone supporting the "Make In India" initiative. Honor Holly 3 Launched: Specs, Price and Availability. It supports a 1.2 GHz Kirin 620 Quadcore processor having Cortex A53 Cores coupled with Mali 450 MP4 GPU & 2GB RAM. It sports a 5.5 inch IPS LCD 720p display having a pixel density of 267ppi. No info whether it has a corning gorilla protection. It comes with 16GB Internal Storage and expansion is available up to 128GB via a MicroSD memory card slot. It has 13MP Rear camera with F/2.0 Aperture, LED flash and is capable of recording 1080p HD videos at 30fps. Whereas the secondary front-facing camera is an 8MP shooter having a fixed focus lens. It comes with WiFi 802.11 b/g/n, Bluetooth 4.0 along with the A-GPS support & standard set of Sensors - Accelerometer, Proximity sensor. It has a 3100mAh Non Removable Li-ion battery. Runs on Emotion UI 4.1 built on Android Marshmallow 6.0 & Honor has guaranteed about future updates. It comes in 3 color variations viz. Black, White, and Gold. So the Honor Holly 3 has been announced at a price of Rs.9,999. When it comes to the specifications, the pricing seems good, if not great. So the Honor Holly 3 would be available exclusively via Flipkart & Amazon. 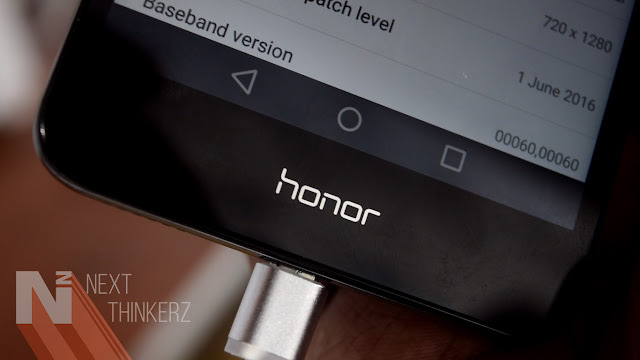 Whereas it will also be accessible on the Honor's online store. But the date of availability isn't out yet, So do keep an eye on our blog post regarding the same. 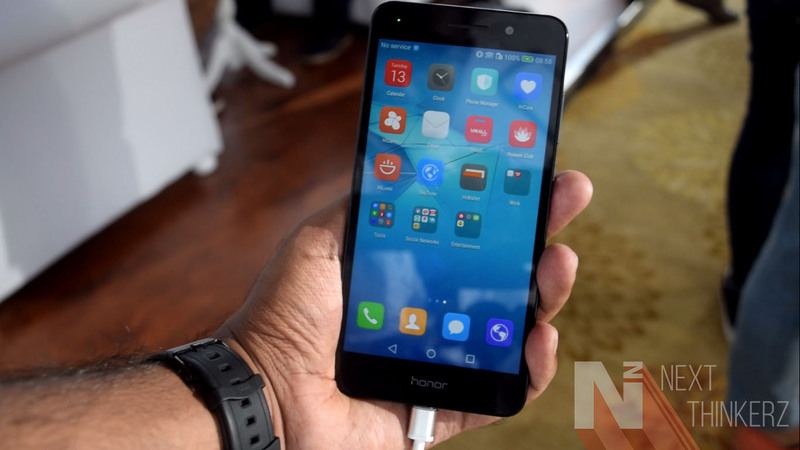 Honor Holly 3 Initial Impressions: Specs, Price and Availability. So up until now what you've read from this post are the specifics considering this device at an initial phase. I used it for like 30-40 odd minutes & during that time I observed quite a lot about this device. The good thing which I can easily say is that that display even though being 720p feels good, Viewing angles are great. But considering the Chinese competition offering 1080p Display at this price point might be an issue, But personally, you won't feel it unless you're a pixel peeper. Another thing mentioning about this device is that It's quite huge. Though the back plate has a nice soft touch matte feel and it feels good when held. But the thing which I disliked the most were those shiny plastic edges around the honor Holly 3. These feel cheap and a scratch magnet, So head over to cases when you're considering to buy this device. Both Cameras are decent enough, which is expected considering the price. On-Screen buttons are always a pleasure to witness, but that unnecessary chin and similar matching forehead help in making this device huge, which is not acceptable. One final thing to discuss would be that it does not have a fingerprint scanner. Which could be a strange thing to witness as most of the devices in this price segment have a fingerprint scanner/sensor. That being this device packs some useful things such as a massive 3100mAh battery, Decent Display, On-Screen buttons, A Clean UI which might check a lot of boxes in a user's mind who are considering for a budget oriented device. This device was an unexpected thing that happened at the event & all of the media was surprised to see it. Though it's worth mentioning that it'll be interesting to see how it performs against the chinese brands having devices like Redmi 3S Prime, LeEco LE 1S, Redmi Note 3, Asus Zenfone Max etc. Or even the recently announced Coolpad Note 5 from Coolpad. Let me know what your thoughts are considering this device. 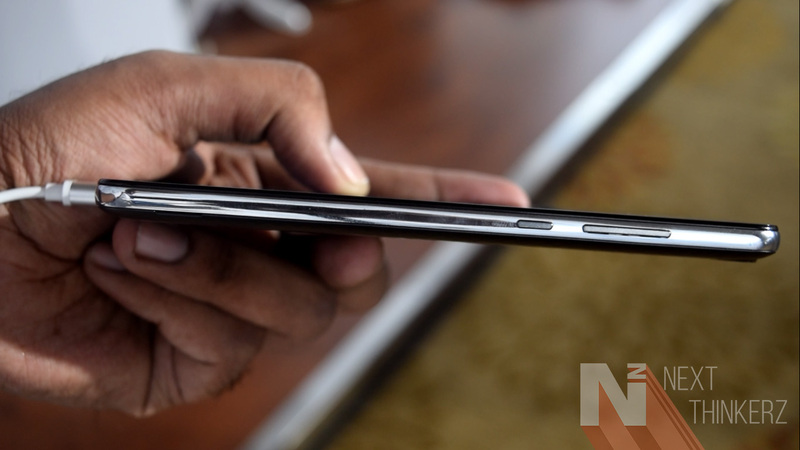 Also See: Coolpad Note 5- Everything you need to know.